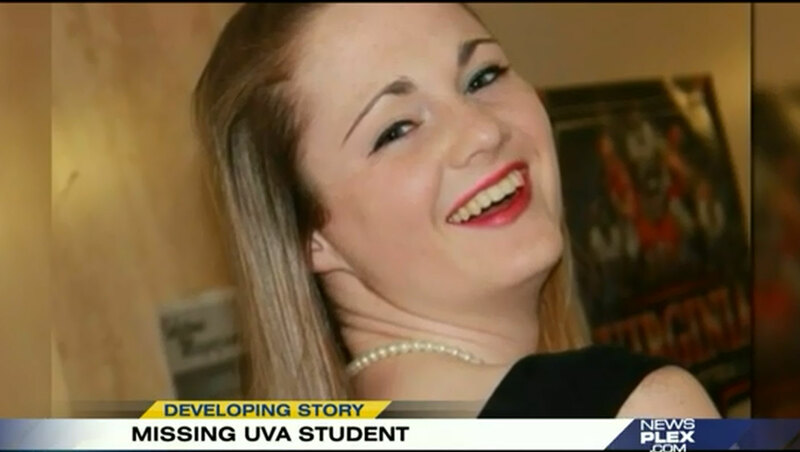 CHARLOTTESVILLE, Va. -- The search for a missing University of Virginia student is centering around a text message she sent early on the morning she vanished, reports CBS affiliate WTVR. Hannah Graham, 18, was last seen on surveillance video at a Charlottesville Irish pub around 12:46 a.m. Saturday, reports the station. About a half hour later, around 1:20 a.m., she texted a friend saying she was lost in the area of 14th and Wertland Streets. Now, investigators say they don't believe she was in that area at all, reports the station. "We don't know whether it was auto correct on her phone or she just typed it in wrong, we have no idea," Charlottesville Police Capt. Pleasants told the station. Pleasants said a bloodhound picked up Graham's location at the pub, but wouldn't say where it led investigators. Now, police are working with the FBI to retrieve phone data to determine the location from which the text was sent. "A lot of things happen when you send out messages and text, and we're following that," Pleasants told the station. The second-year student from Northern Virginia was reportedly alone and "fairly well intoxicated" when she was last seen. Officials have not released surveillance from the pub, but Pleasants told the station it showed Graham "in front of the building for several minutes, apparently it appears, maybe even talking to someone, and then walking away -leaving east bound on Grady at 12:46 a.m."
That's in the opposite direction from her apartment, reports the station. Graham's disappearance has drawn the national spotlight and sparked deep concern from friends, family members and the university community. In an expanded search, law enforcement agencies are reportedly combing about 30 blocks in Charlottesville, but so far, there's been no sign of the teen. Graham was reported missing Sunday afternoon. Tuesday, Graham's family said she "would not disappear" without contacting family and friends. The university released a statement Tuesday from her parents, John and Susan Graham, and her brother James. "Those of us who know and love Hannah know that she would not disappear without contacting family or friends. She is highly responsible and organized," the family said in a statement. "We express our sincere gratitude to law enforcement and everyone who is involved in the search for Hannah. We also thank the University for the full attention they are devoting to the situation. The kindness and support of so many - her friends at U.Va., particularly her friends on the Ski Team, her friends from high school, our neighbors, and the larger community - mean so much to us at this difficult time." University President Teresa A. Sullivan issued a statement saying the community is "united in our deep concern" for Graham. A "Help Find Hannah Graham" page was established on Facebook. Police describe Graham as a white female, about five feet, 11 inches tall with a skinny build. She has blue eyes, light brown hair and freckles. She was last seen wearing a black crop top with mesh cutouts. Anyone with information is asked to contact the Charlottesville Police Department at 434-970-3280 or CrimeStoppers at 434-977-4000.